While most of our work is done in the Southwest Michigan area, we also do projects in Northern Indiana. 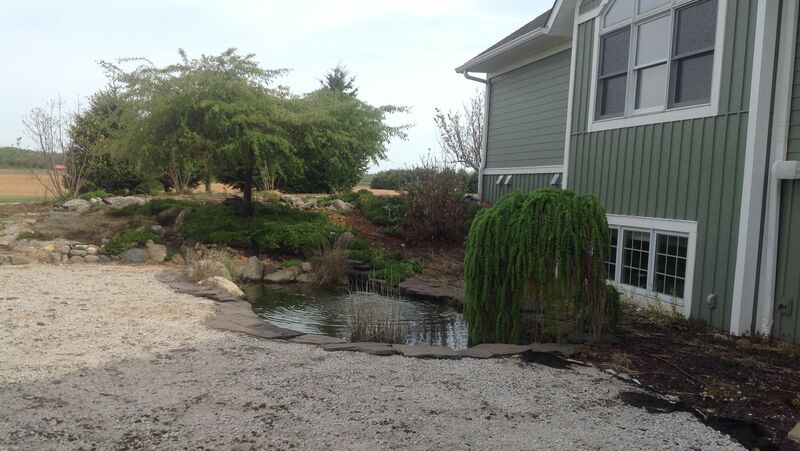 This particular pond construction installation project was out of LaPorte, Indiana. While increasing the size of the water feature was important, our clients biggest desire was something else. By searching for a Certified Aquascape Contractor that had a good reputation for fixing water quality issues, and reviewing some projects on our website, these clients decided to go with the best. There were a few problems our clients had encountered with their current pond. They described their pond as a “maintenance nightmare”. They were constantly cleaning and adding water to the pond. The fish couldn’t be seen since the water was usually green and even black at times. There was also an issue with the waterfall they had. Specifically, the waterfall couldn’t be seen, or heard, from inside the home. What Was The Clients Desire? Our clients desire was simple, water quality with minimum maintenance. When they opened the windows they also wanted to be able to hear the waterfall. Since there was an existing slope, we wanted to create a natural appearance of the waterfall. So the positioning of it was important. We also had to find a creative way to retain soil to keep the natural looking slope. The desire of our clients was ultimate water clarity, so we used biological filtration, aquatic plants, and organic media to filter the water, producing better water clarity. Since our clients were visual people, and wanted to know what they were getting into, we ended up creating a 3D model for them, along with realistic renderings, so they could visualize the outcome. 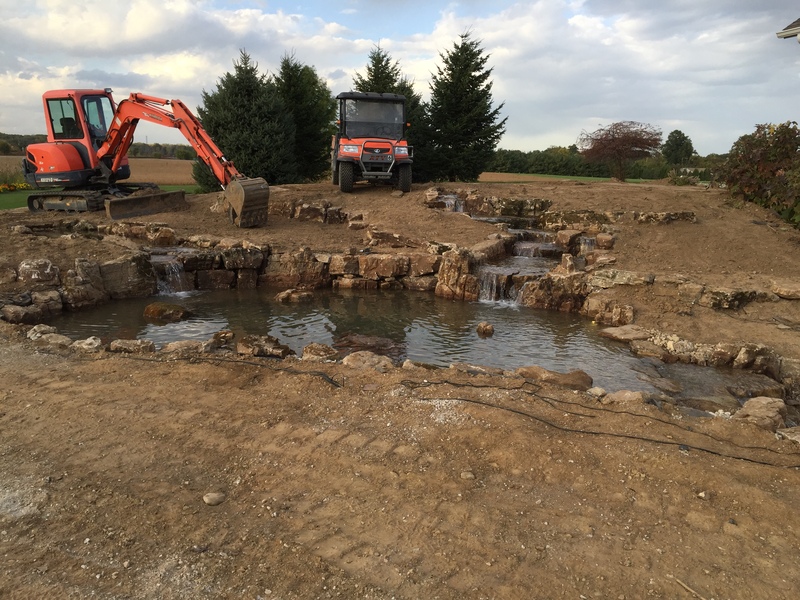 For this pond construction installation project in LaPorte, IN, we created a larger waterfall and stream, that led into a larger pond. We also added a wetland filtration system, which will also help with water clarity. The water from the pond flows down a waterfall into a negative edge. The negative edge works like a pondless waterfall, except this basin will hold more water, which in turn will lead to better water clarity. These clients also wanted to enjoy the pond at night, so they added a lighting package to the pond. This pond construction installation in LaPorte, IN took about 3 weeks from start to finish and cost around $80,000.